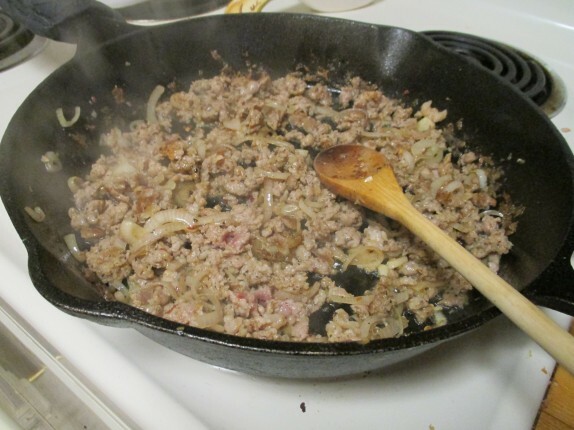 I bought a nice pork shoulder so that I could make a big batch of my breakfast sausage. 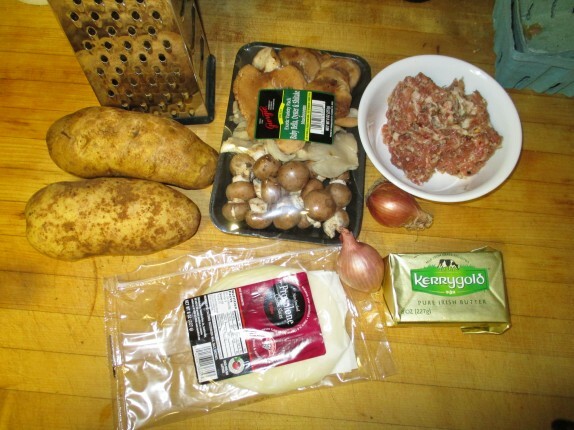 One thing I wanted to use the sausage for was to put together an egg bake (casserole) for brunch; this spun out of a conversation with a co-worker about how versatile this kind of recipe is. 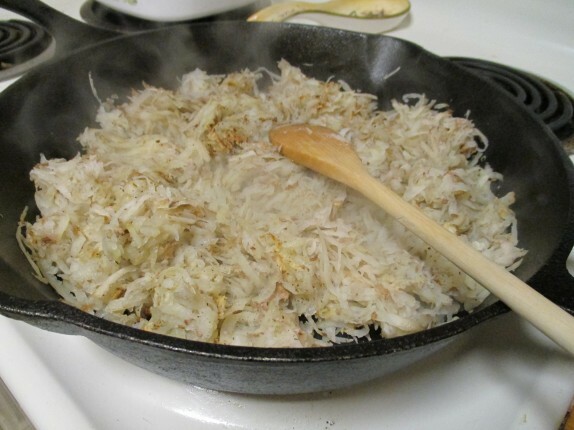 For the bottom layer, I shredded some potatoes, wrung most of the water out, and browned them up on a wide cast iron skillet. 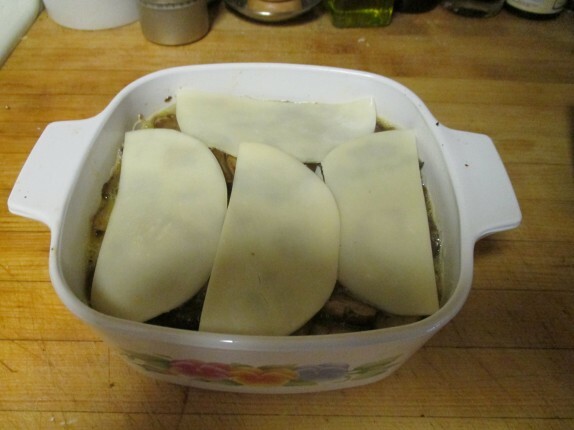 After moving the potatoes to a baking dish, I browned the sausage in the same skillet, added the shallots and cooked until soft, and moved this to the baking dish and topped with a generous dose of provolone cheese. The mushrooms were sauteed in the same skillet with plenty of good butter. I moved this to the dish. I cracked about 4 eggs (2 per person) into a bowl and combined them with a splash of milk, some kosher salt, and cracked black pepper. 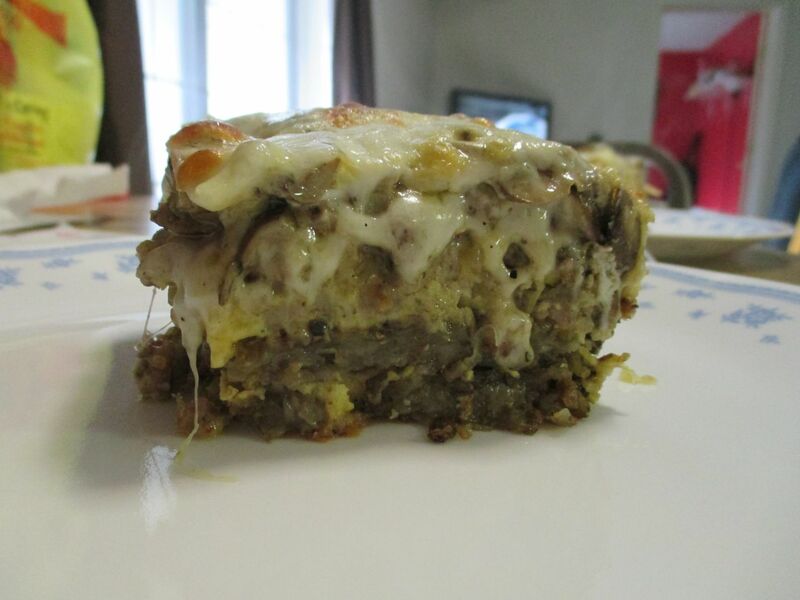 I poured the mixture over the ingredients in the dish, topped with more cheese. Then, it baked at 350 °F for about 30 minutes. Upon removal from the oven, I let it equilibrate out of the oven for about 15 minutes. One of the tricks to this is to make sure all of the layers are seasoned. It’s a really fun way to incorporate a lot of components of a great breakfast into one dish. My favorite thing about it is that lots of things can go into the casserole. Different cheeses, vegetables, meats, and pretty much anything you’d like can be baked into this. Man! 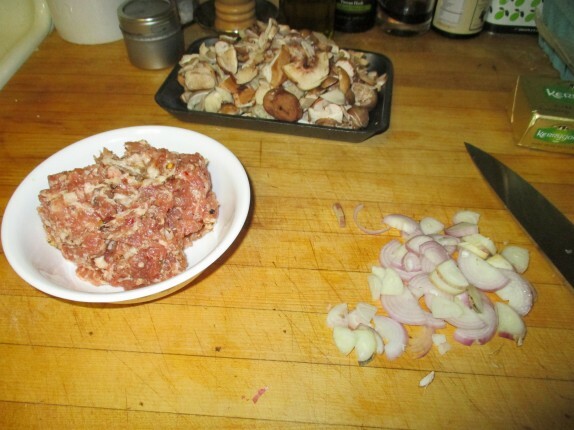 That looks delicious…your pictures really break it down and those of us who do “scratch cook”, understand how good the food really tastes and the prep time is always worth it. Great blog or is this a tweet?